Pet grooming and care is picking up as an industry the world over. With more people looking for quality care and grooming for their pets, having a website to find your services would make it easier for them. Instead of designing a site from scratch, you can use themes and templates. 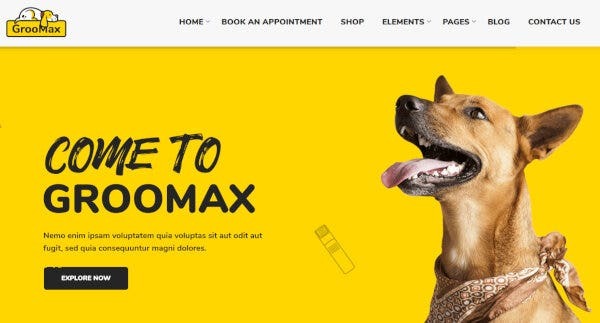 Groomax is a WordPress theme that has been designed for pet care and grooming services. This theme’s design is interactive and creative, combining stunning visuals and amazing technical features. Groomax’s features include Redux framework, video and background parallax, WPBakery page builder, and 600+ Google Fonts. Anilove is a new and clean WordPress theme that has a minimalist and fully functional design. It was created for animal rights websites but it can also be used for showcasing pet grooming and care services. Anilove’s features include SEO optimization, clean code, Cherry plugins, and Ecwid plugins. Woof! 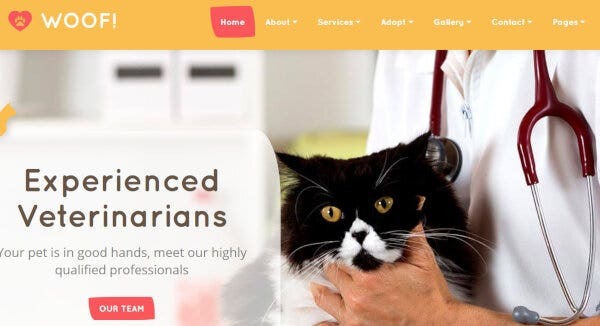 is a WordPress theme that is designed for any medical care WordPress websites related to pets and pet care. It’s design is bright and gives a lot of importance to the content shown on the website. It’s features include Revolution slider, powerful admin panel, drag-and-drop page builder, and MailChimp plugin. 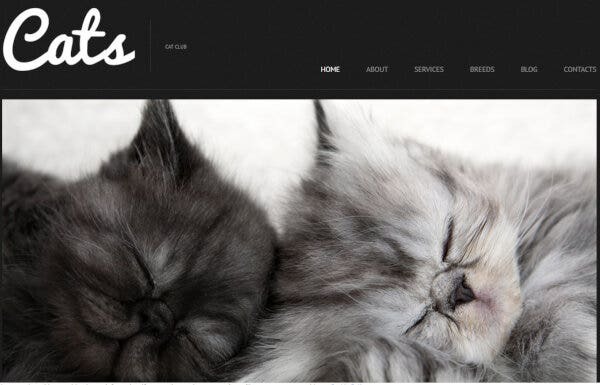 Four Paws is a WordPress theme that was designed for pet grooming services. It has a design that is smart and functional, as well as fully responsive. It’s features include Elementor Page Builder, Google Fonts integration, JetElements, and valid HTML coding, to name a few. 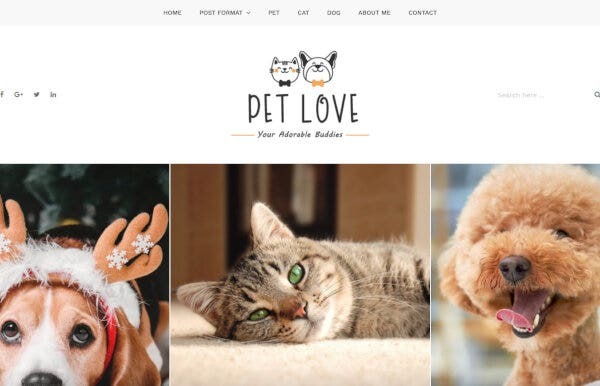 Pet Love is a WordPress theme crafted for animals and animal care. The design of the theme is simple yet beautiful and it’s features ensure that visitors have a smooth user experience. Pet Love’s features include unlimited colors, multiple language support, post format support, and unlimited header styles. Pabu is an artsy and graphic-based multipurpose WordPress theme. It has been designed for any websites with content related to pets and animals. It’s visuals are creative and beautiful while it’s functionality is very responsive. Pabu’s features include unlimited home page styles, WooCommerce compatibility, WPBakery Page Builder, and Sticky Header. 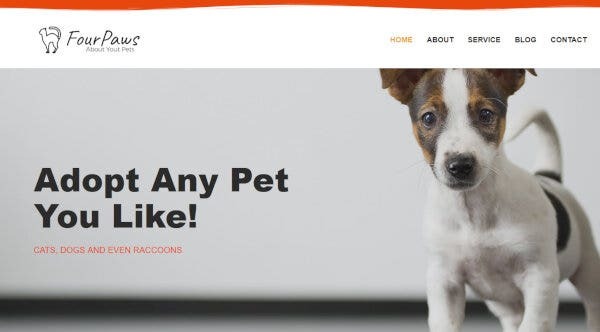 Animacare is a WordPress theme designed for websites on pet care and pet grooming. It’s design is colorful and professional, giving it a beautiful look while placing importance on the content hosted on the website. Some of it’s features include CSS3 animations, SEO optimization, drag-and-drop builder, and mobile optimization. Igaa is a WordPress theme that has minimalistic, sleek design. 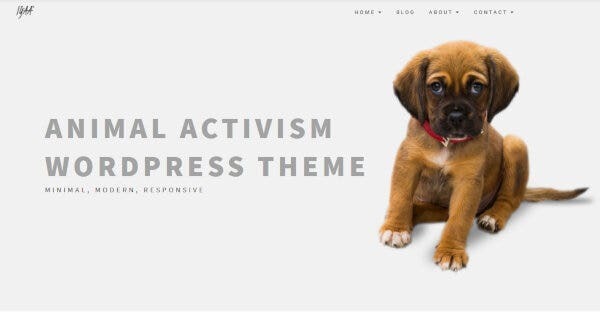 While it is built for animal activism, it can also be customized to function as a pet care WordPress website. Some of it’s features include CSS3 animations, advanced theme customizer, RTL support, and one-click demo installation. 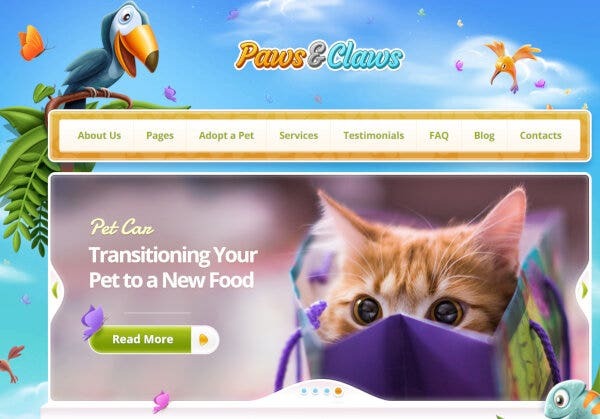 Paws & Claws is a WordPress theme that has a fun creative design that appeals to adults as well as children. 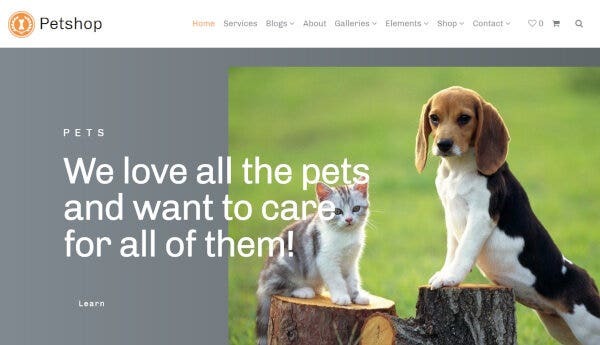 It has been designed for websites on pets and pet care. It’s features include color picker, multiple slider options, mega menu, and built-in page layouts. PetInn is an extremely responsive and user-friendly WordPress theme. It has been designed for animal shelter websites but can also be altered to be a pet grooming or pet care website. PetInn’s features include multiple layout options, retina ready, content modules, custom widgets, and a live customizer. 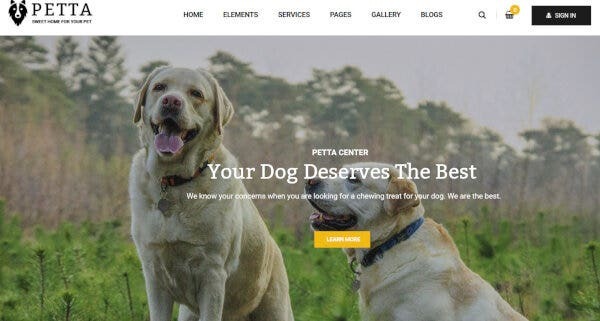 Petta is a premium WordPress theme that has been designed for websites with information on pet care. This theme has a professional and modern design along with a fully responsive user interface. Petta’s features include Bootstrap 3, one-click demo import, powerful shortcodes, and WooCommerce integration. 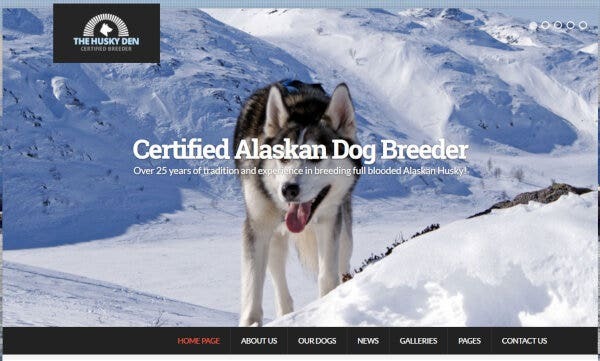 The Husky Den is a WordPress theme with an out-of-the-box design. While it has been designed for promoting dog breeds, it can also be used for pet grooming and care solutions. Some of it’s features include custom templates, custom widgets, Google Analytics, and WPML support. 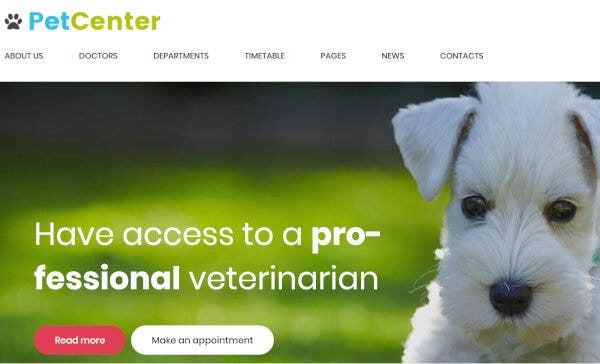 PetCenter is a modern WordPress theme that has a smart and beautiful design. This theme was designed for use as an adoption website but it can also be used for pet care and grooming. It’s features include Cherry services, drag-and-drop page builder, SEO optimization, and Google Fonts integration. 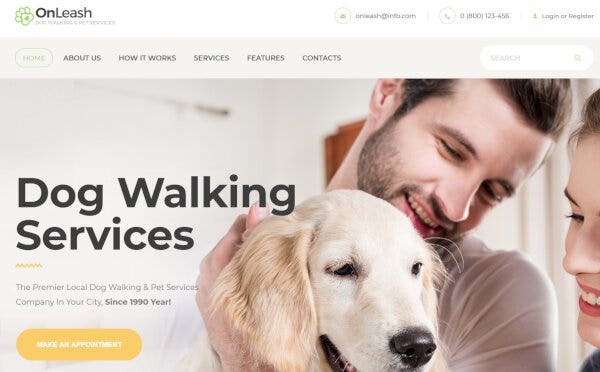 OnLeash is a WordPress theme that is designed for websites on pets, pet care, and pet services. It’s design is smooth and it can provide a fully responsive user experience for visitors. It’s features include drag-and-drop page builder, easy customization, Google Fonts, and SEO optimization. Dog is a minimalist WordPress theme for pet shops, designed specifically for dog-related care and information. It has a bright and smart design as well as an extremely interactive user interface. Some of it’s features include WPML certification, 80+ shortcodes, SEO optimization, and multiple color options. 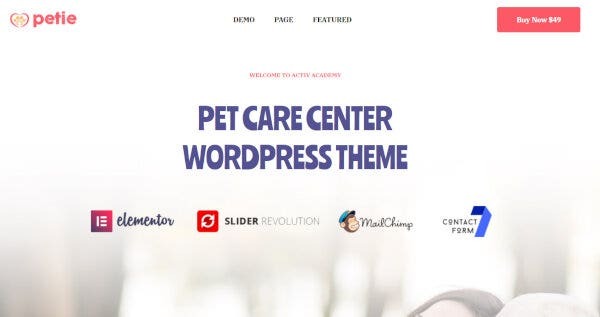 Petcare is a WordPress theme that is crafted for websites related to pets and pet-related services. The visuals are smart and colorful and the theme, overall, is extremely responsive. Some of it’s features include page builder, WooCommerce compatibility, various layouts, and a beautiful portfolio page. 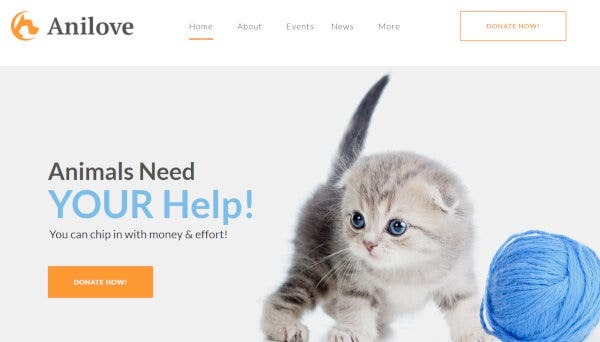 Furry is a modern animal shelter and care WordPress theme. 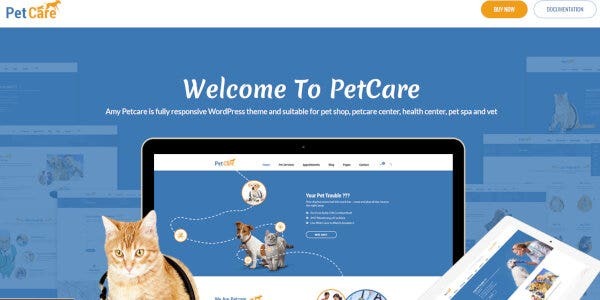 This theme was designed specially for pet grooming and care websites. Aside from amazing visuals, it has many features that provide a great user experience to visitors. It’s features include live customizer, custom widgets, Google Fonts integration, and WPML support. 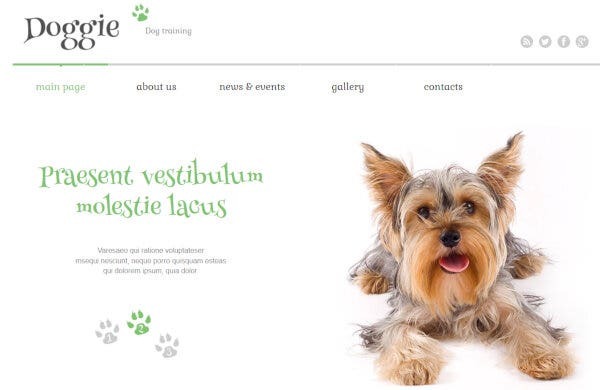 Petie is a WordPress theme that is designed for all pet-related matters. It has a design that is responsive and smart, making it ideal for visitors to view your services more easily. It’s features include high speed performance, Elementor Page Builder, multiple language support, and HTML5 + CSS3 coding. 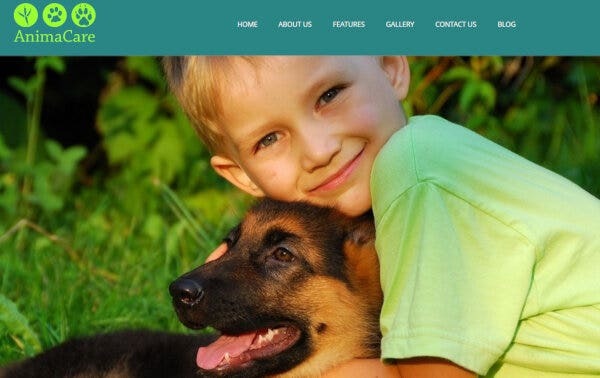 LT Anicare is a WordPress theme that has been designed for websites on animals and animal care. The design of the theme is modern and professional and is very responsive. LT Anicare’s features include Genesis framework, WooCommerce solutions, 4 color schemes, and a fully responsive design. Cat is a newly launched WordPress theme that has a sleek design and a fully responsive user interface. It has been designed mainly for websites on cat adoption and cat-related information. Some of it’s features include custom post formats, built-in theme customizer, free updates, and advanced backups. 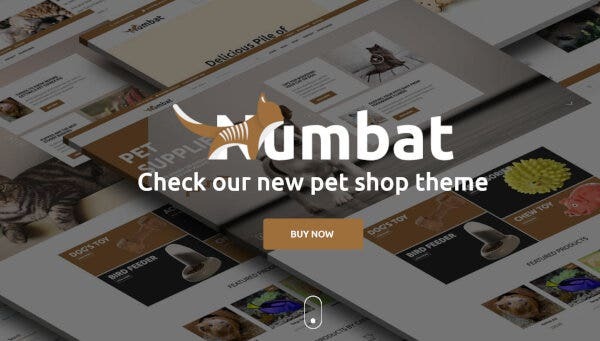 Numbat is a smart, professional WordPress theme designed for websites for pet shops and pet care. It’s design is modern and has a minimalistic influence, along with technical features that make for great user experience. Some of it’s features include CSS animations, multiple colors, one-click importer, and multiple header variants. 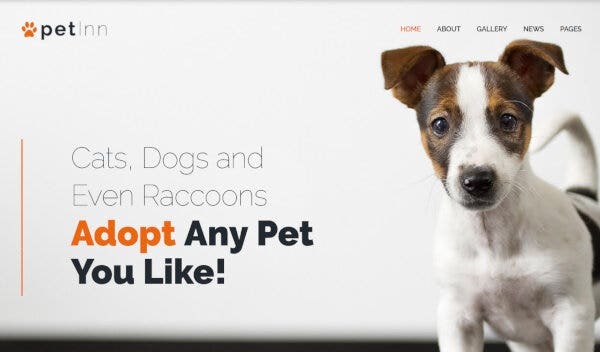 Petshop is a WordPress theme that was designed for websites on animal adoption and care. It’s visuals are bright and colorful and it has an extremely responsive and user-friendly interface. It’s features include custom code, shortcodes, typography, and social sharing options, to name a few. 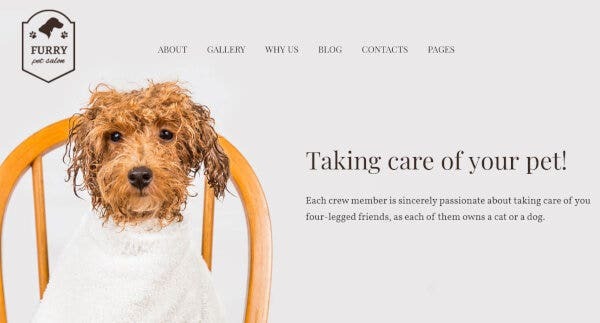 These are some of the pet care and grooming WordPress themes to try out. See which one suits your website today!